StanCraft teams up with MasterCraft to offer an old-school take on a modern wakeboard machine, the X30. 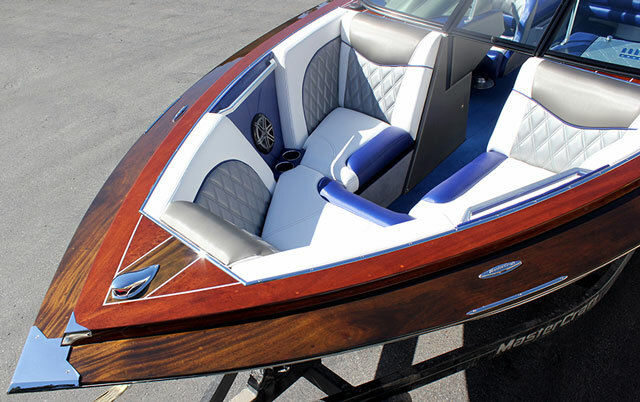 If you passed by the MasterCraft booth at the Miami Boat Show this year, you might have thought that mahogany-looking wakeboard boat was just a clever wrap or outstanding airbrush work used to make a MasterCraft X30 look like wood. You would have been mistaken—the boat on display was made entirely of solid African mahogany, from its hull to its stringers. 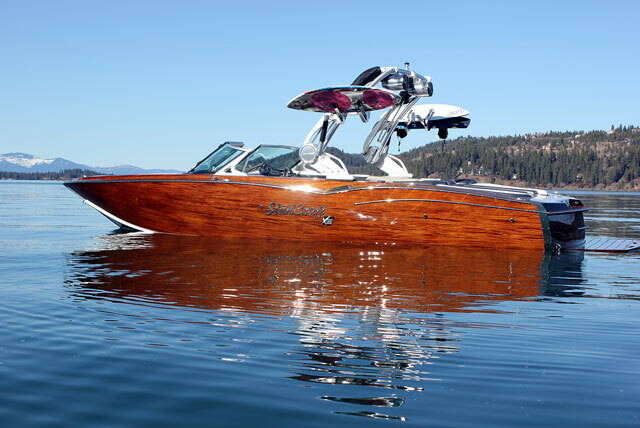 Yes, that's a real mahogany hull on the StanCraft MasterCraft X30. All wood, and egads was it beautiful. 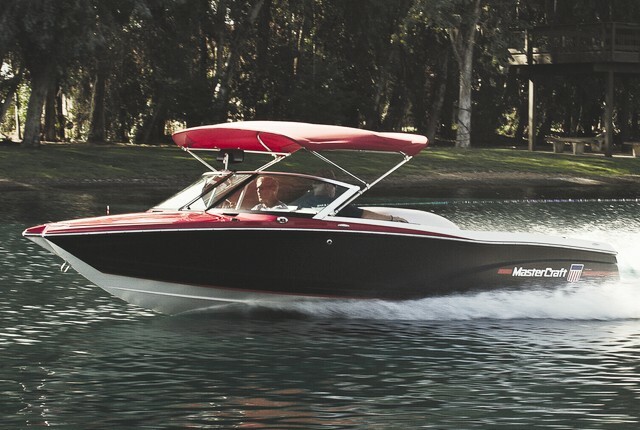 The display model was the result of a partnership between MasterCraft and StanCraft, two iconic boatbuilders in their own right. The partnership came together rather organically, according to Chad Warren, sales and marketing representative for StanCraft. 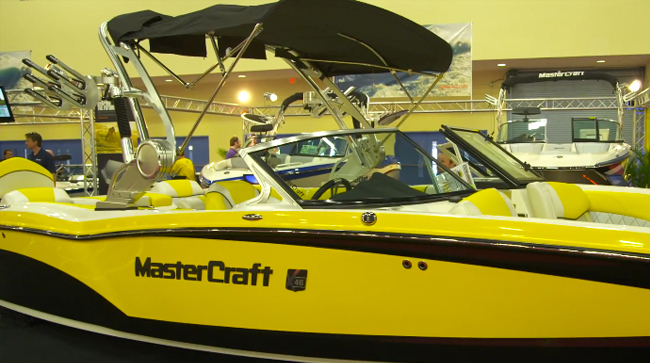 You see, StanCraft became a MasterCraft dealer about three years ago, and the partnership blossomed from there. 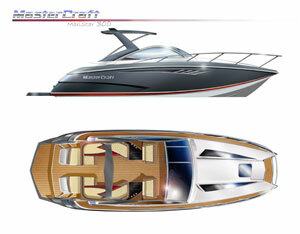 StanCraft owner Robb Bloem asked if MasterCraft would be interested in a partnership using a MasterCraft interior and components in a wooden StanCraft hull. “We’re now building two more because they got great reviews, which is great for us, because we only build like eight to 12 boats a year,” Warren said. Inside the gunwales, this boat is puire MasterCraft X30 through and through. The model doesn’t come cheaply at $250,000 as shown, and it likely will not be used to pull professional wakeboard tournaments. It does come with an Ilmor 7.4-liter 522-horsepower V8 with catalyst exhaust. 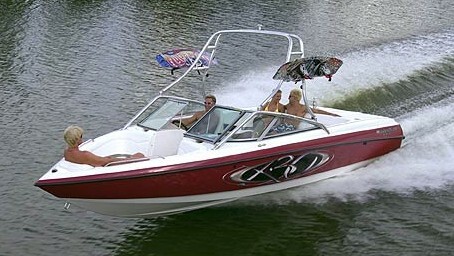 On the wakeboarding side, it comes standard with hard-tank ballast system that holds up to 1,000 pounds of water. 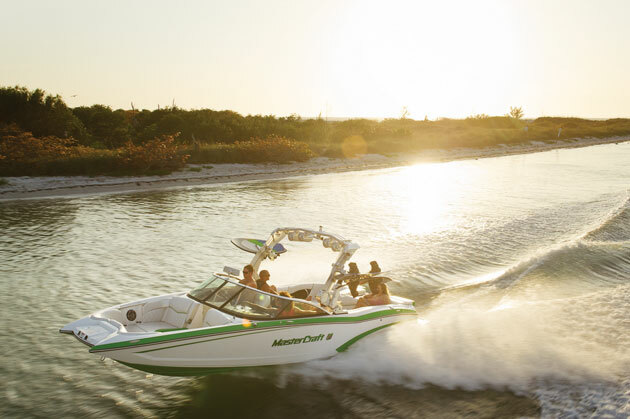 The interior components are the same as those used in the MasterCraft X30, including the ZFT4 tower with board racks and speakers. 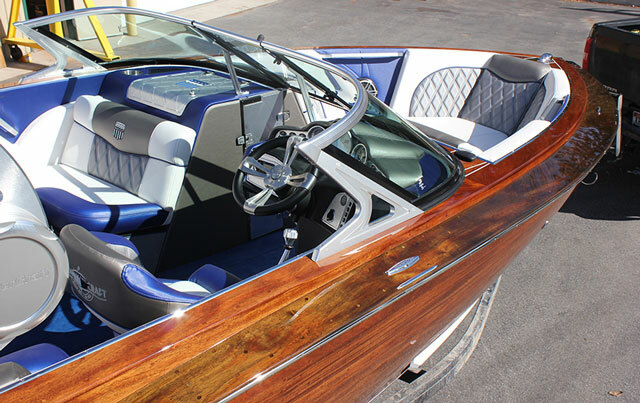 StanCraft just had to build a boat around the MasterCraft interior. While this version of the X30 is certainly unusual, it's not entirely the first of its kind. Stancraft worked similar magic on a Bennington pontoon boat, which takes that particular genre of boat up a notch or three. StanCraft also displayed the X30 at the Barrett-Jackson car auction in Scottsdale, Ariz., which had attendance in the neighborhood of 350,000. StanCraft intends on building three X30s in 2014, with plans for two more in 2015. Warren said the company also is working on a pickle-fork design used on other MasterCraft models. 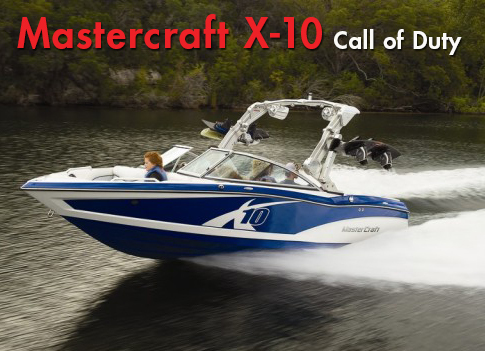 Of course, if you want your own StanCraft X30 MasterCraft edition, you have to add your name to the list. All the 2014 models are sold. 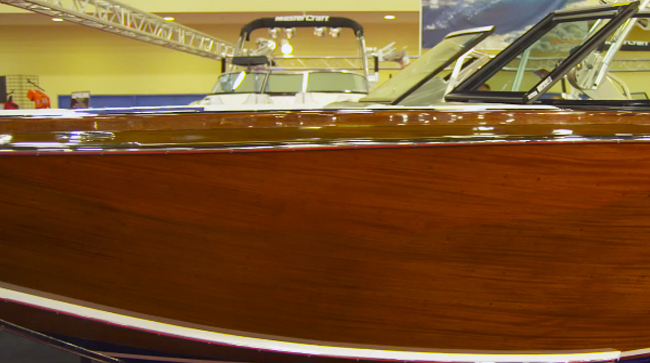 View listings for StanCraft edition boats. For more information, visit StanCraft.